Offering you a complete choice of products which include flp pulley block, motorized chain pulley block, santon cpb & trolley, lashing chain, electric chain pulley block and motorised chain pulley block. Bestowed with an ingenious team of designers and advanced production unit, we have been able to introduce an exclusive range of FLP Pulley Block. The offered block is fabricated under the supervision of our deft professionals. The professionals utilize supreme quality spare parts, steel and other metals for manufacturing the quality-tested block. The block is widely used in automobile and wire cranes along with mechanical parts assembling. Clients can get the block designed according to the business requirements. Pioneer in the industry, we are engaged in presenting an impeccable range of Motorized Chain Pulley Block. Offered block can pull up to 40 FT long load at a one stretch. Also, it offers DIA a rope up to 6 to 12T and 6 to 8mm. In order to design and manufacture a robust block, we use supreme quality spare parts, steel and other metals during the fabrication. Apart from this, block is available with us at industry leading prices. We are an acclaimed name in the market, engaged in presenting a superior quality array of Santon CPB & Trolley. This trolley allows rope up to 5 to 10T with the speed of 20m per minute. The offered trolley is available in various models starting from 1000, 2000 and 5000T. The capacity of the trolley changes according to the model number. In addition to this, the Santon trolley is manufactured using supreme quality spare parts, steel and other metals under the stern guidance of technicians. Provided trolley is available with us at industry leading prices. With the excellent support of our brilliant professionals, we are engaged in presenting Lashing Chain. Extensively demanded from mechanical, automobile, and wire manufacturing companies; the chain is appreciated due to providing accurate and align results to the clients. Moreover, the chain is available in various configurations to match up the growing industrial demands. 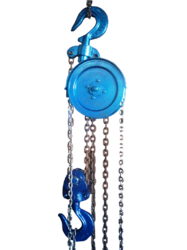 The offered chain is manufactured using quality-tested spare parts, steel and other metals. 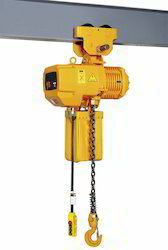 We are established manufacturers and suppliers of large collection of lifting and material handling equipments including Electric Chain Pulley Block. It is precision engineered by using cutting edge technologies by our reputed vendors in modern facilities. It is capable of efficiently lift heavy loads with ease and speed. We offer this in different specifications at reasonable prices. We are successfully ranked amongst the trustworthy entities offering a wide range of Motorized Chain Pulley Block. This pulley block is made of by us in 316 and 312 grade stainless steel materials. Such quality materials and fabrications offer reliability to the usage supporting different end working applications. Additionally, the manufactured and polished pulley block dipped in electro galvanized surface finish. Clients can avail the customized pulley block from us according to their business needs. We are one of the best suppliers of different type of Motorized Chain Pulley Block which contains 1 ton - 10 ton capacity. We supply these products from reliable vendors. 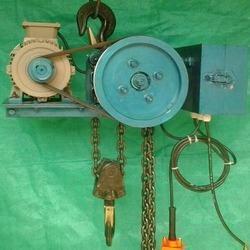 Motorized Chain Pulley Block has many special feature features. Superior quality raw material, advance and latest technology is used in the process of manufacturing. These are used to lift heavy loads from different sites. 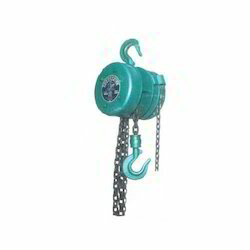 Motorized Chain Pulley Block is liked and appreciated by our eminent clients due its higher efficiency smoothness and operational system while lifting loads. To meet the diversified requirements of our prestigious clients, we are engaged in offering Santon P Pulley Block. This block is made available in various configurations that begin from 10T to 75T. That means, higher configuration block has much advanced DIA and strength in compared to the lower one. In addition to this, the technological soundness of the block offers high durability and accurate deliveries of the pulley block. Apart from this, clients can avail the block at cost-effective prices from us. 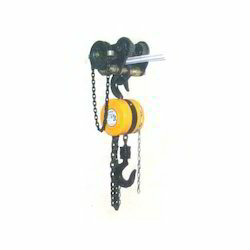 We have a prominent product of Lifting Chain which is known for its service and exceptional versatility. Premium quality of raw materiel, high modern techniques and other international parameters are used at the time of manufacturing process. 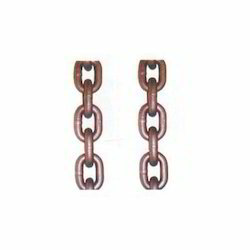 Chain Sling is also well known for offering immense adjust ability. These products are widely used in construction, marine and automobile industries. Our eminent clients appreciate these products due to its function, reliability and easy operational systems. 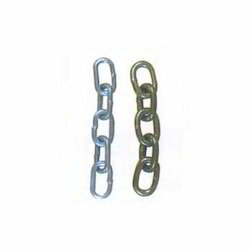 We have been affianced to introduce an excellent grade array of Heavy Duty Chains. This trolley is manufactured using 306 and 316 stainless steel and iron alloy. At our manufacturing unit, this trolley is manufactured using advanced technology that helps in providing extra strength and reliability to the cable trolley. Heavy duty cranes require such trolley for picking, loading and adjusting various containers, concrete blocks and iron spat. Clients find the trolley dimensionally accurate and aligned when used for heavy operations.